In Wednesday’s post, Where Football and Brain Science Collide, I introduced some emerging science that suggests a link between sports injuries and a condition called chronic traumatic encephalopathy. On that same day, there was a hearing held by the House Judiciary Committee to discuss the very same issue. The reports are out, and apparently, there were some heated moments. The main highlights that have everyone talking... Rep. John Conyers (D-MI-14th) showing no mercy as he asked NFL commissioner Roger Goodall to directly state if there is a link between head injuries on the football field and brain disease later in life, and Rep. Maxine Waters’ (D-CA-35th) stern rebuke of Goodell and the NFL's inaction, following this by suggesting that the time has come for Congress to review the antitrust exemption for broadcasting that is arguably responsible for the multi-billion dollar industry that is now the NFL. In all, the result of the hearing was a call for further review of the data that started this discussion, a good first step to protecting these athletes. Another positive result… the formation of the Concussion and Traumatic Brain Injury Committee by the NFL Players Association. To read the Associated Press article covering the hearing, click here. On the Monday before Thanksgiving, Research!America and leading public health organizations take time to recognize public health professionals who work tirelessly every day to protect us. From the ordinary to the extraordinary, these heroes keep our drinking water safe, air clean and children healthy. Read about the work some public health heroes are doing around the country. In anticipation of Public Health Thank You Day, I’m doing a series of posts on the history of public health and medicine. Beginning next week, we’ll post three entries highlighting different eras in history: one focusing on ancient times, another on the 1800s, and one about the 20th century. To provide some context, I’ve created a short timeline about public health and medical history. It is based primarily on the 1993 edition of George Rosen’s A History of Public Health, and will hopefully give you a sense of the underlying principles of public health as well as how far we’ve come. A focus on cleanliness, sanitary measures including public baths, and the availability of public hospitals and city physicians helped to keep ancient societies healthy. Doctors also developed methods for diagnosing disease and determining how it spread. High population densities resulting from the urbanization of Europe during this time led to sanitation problems and hastened the spread of disease, especially among the poor. In response to these problems, societies introduced public health improvements that included greater numbers of hospitals, hospices, and bathhouses; better treatments for disease were also sought. Greater interest in science generated advancements in medicine and public health. Work by people like Andreas Vesalius, who studied human anatomy, and William Harvey, who discovered circulation of the blood, increased society’s knowledge about the body’s structure and functions. The transmission of disease to new places with military explorations, trade, and travel provided new information about how disease spreads. Statistics emerged as a useful tool for investigation. Public welfare became increasingly entwined with state welfare as governments connected the health of their country with the state’s power. Statistics were first used to calculate mortality rates, life expectancy, and fertility, providing a better picture of the health of populations. The championing of reason over traditional sources of authority and a deeper interest in science were crucial to the evolution of public health. With a greater focus on self-improvement, people became more interested in ways to improve wellness and image, often leading to interesting (and not always particularly effective) ideas about what was best for one’s health. Concerns about the spread of cholera and revolutions across Europe led to a renewed focus on sanitary conditions in Europe and statistics were used more widely to understand the connection between health and living conditions. These general improvements were effective in lowering overall mortality. John Snow’s study of the cholera outbreak on Broad Street in London marked the founding of epidemiological science. Discoveries by Pasteur, Koch, and Lister define this period. Germ theory offered new explanations for the spread of disease leading scientists to conclude that microbes, rather than miasmas (bad air), cause disease. This improved understanding aids in prevention and treatment. Many advances are made in public health including immunizations, motor-vehicle safety, control of infectious diseases, safer and healthier foods, the fluoridation of drinking water, and more. In 2006, 60 Minutes interviewed Joe Namath, former Jets quarterback and Pro Football Hall of Famer. In that interview, Namath’s career is charted in terms of his injuries—two knee replacements; disjointed vertebra; broken bones in his hands, feet, and face; a shoulder separation; and of course multiple concussions, to name a few. Since his time (60's & 70's), the rules have changed, the equipment has improved, and overall, football players are more protected. In fact, Brett Favre, now QB for the Minnesota Vikings, began his pro career in 1992, and it continues now, 17 years later… a feat unheard of in Namath’s day. But even though the sport has come a long way, new research suggests that it continues to take its toll on players health, and the region of greatest concern is the brain. A recent NFL sponsored study in which ex-football players were asked if they had ever been diagnosed with Alzheimer’s diseases, dementia, or other memory-related diseases, shows cause for concern. The number that answered yes in the 50+ age category numbered 5 times the national average; in the 30-49 age category, 19 times the national average. Couple that with reports of ex-pro-athletes suffering personality changes, slurred speech, and forgetfulness among other things, and a red flag goes up. Enter a series of articles printed over the last few weeks; beginning with a New Yorker piece highlighting the research of Drs. Bennet Omalu and Ann McKee. In looking at the brains of ex-pro athletes, it appears that they don’t look like they should. Alzheimer’s disease results from the buildup of two proteins, called beta-amyloid and tau. Beta-amyloid is thought to set the stage for Alzheimer’s; tau signals the progression of the disease. 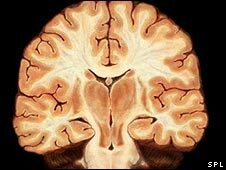 In these players’ brains they have an abnormal amount of tau, but no beta-amyloid, indicating a condition known as chronic traumatic encephalopathy. Basically, these players have brain injury resulting from brain trauma. And the worst part, these tau buildups have been found in high school and college athletes that never went pro - kids with brains that look like those of seniors suffering dementia! Using sensors placed in the helmets of football players, we also now know that these players are experiencing forces upwards of 100-g when they get hit. This is the same amount of force a car accident victim experiences. Even the not so serious hits can register at 60-g. Repeated hits like this likely do a lot of damage. But this doesn’t stop at football players. Boston University and the Sports Legacy Institute are teaming up to compare the brains of these athletes to those of military personnel. The NY Times reports that approximately 320,000 soldiers who have fought in Iraq or Afghanistan have experienced traumatic brain injury. Diagnoses of post-traumatic stress disorder (PTSD) in soldiers are also on the rise. So now the question remains, could the PTSD symptoms be a result of traumatic injury to the brain? Researchers hope to answer this. Today on Capitol Hill, there is a congressional hearing to talk about this issue. Right now what’s needed is more research. The studies that I’ve mentioned have not looked at enough players to be able to say conclusively that these athletes are suffering from permanent brain injury due to repeated hits, but it is a wakeup call, and the implications are huge. Regardless of where the research takes us, I think it’s safe to say that Monday Night Football will never be the same. For a follow-up to this post, please click here. We're just a week away from election day (Tuesday, November 3, 2009) and across the country positions from dogcatcher to governor will be voted upon. If you aren’t already up to speed on the races in your district, use the next week to get informed. Then make sure to plan time to go to the polls next Tuesday. If you're not sure of the location of your local voting place, Google maps has a feature to help you find out. Be sure to bring you voter registration card and/or driver's license to the polling place. There are a number of sources available to brush up on the issues. Check your local government website to find out what will be on the ballot. Local newspapers are a great source for familiarizing yourself with the pros and cons of each candidate/ballot initiative. Spend some time doing the research so that you can make an informed decision. If you’re going to be away from your home district on Election Day, or will not be able to go to your polling location on election day, there is still time to request an absentee ballot. You can do this by going to your county’s website and clicking on the appropriate link to download the form to request a ballot. One of us did this last week and received the form the next day. Alternatively, some counties offer early voting. Every vote matters in an election. Make sure yours is one of them. This edition of New Voices is a follow-up on Friday's post about fun and exciting experiments to try during National Chemistry Week. First, we want to remind you to always use appropriate safety equipment - including goggles - when trying any experiments at home (you never know what might happen). Can three highly educated bloggers make quick ice cream with ingredients found in a regular kitchen? Put ice cubes in large gallon-sized bag. Put the small bag(s) in the large bag with the ice. Pour salt over the ice and seal the large bag, trying to remove as much air as possible. Shake, toss, massage, etc. for 5 to 9 minutes, until ice cream thickens. The outside of the two inside bags. The majority of our finished product. We did get some ice cream, but the inside most bag broke open, so it was really just a taste for each of us. Oh, and lots of sugar-vanilla-milk. The right materials are necessary to make quick and delicious homemade ice cream. For example, frozen peas and carrots will not, in fact, provide the same amount of exothermic energy as ice (read:frozen H2O), so make sure your roommates have not emptied the ice tray before beginning this experiment. Sugar-vanilla-milk is not as delicious as ice cream. Safety first helps to prevent very cold fingers. But, the most important thing we discovered is that science is really learning about a process more than just the end results. By experimenting with frozen vegetables instead of ice, we learned a valuable lesson. Science is fun and interesting because you can learn just as much "messing it up" as you can by getting it right. Many of the world's greatest discoveries are based on "mess ups" - so get out there and experiment yourselves! It began at 6:02 this morning and ends at 6:02 this evening, and any fan of Avogadro knows why we're celebrating today. In honor of this constant from basic chemistry (which was used so much between high school and college I plugged it into my graphing calculator as its own variable) and National Chemistry Week, we're sharing some of our favorite chemistry experiments today. Have you ever seen an entire bottle of water freeze instantly? This is easy to do, and makes a good demonstration and party trick. Ingredients: An unopened bottle of spring water, a bucket, rock salt, ice, and a thermometer. Directions: Fill the bucket ¾ full with ice and cover the ice with rock salt. Then put the bottle of water in the bucket and place the thermometer next to the bottle. Wait until the temperature of the bottle has been at about 17 degrees for about 10 minutes (if it gets too cold this won’t work). After this time, gently remove the bottle of water and twist open the top. All of the water will turn to ice as soon as the cap is removed. This is an example of supercooling, which is when a liquid is cooled past its crystallization point without becoming solid. “Hot ice” (sodium acetate) is a liquid that turns into a warm solid when poured. It's cool to see, although you probably don’t want to consume it. Ingredients: One cup of clear vinegar and 1 tablespoon of baking powder to make the sodium acetate. Directions: Pour the vinegar into a saucepan and then slowly add the baking soda (if you do it too quickly you’ll end up with a volcano instead). Heat the mixture until a thin film forms on the surface, then remove from heat, transfer to a smooth, clean glass or bottle and cover immediately. If there are any crystals in the solution, add a small amount of vinegar to dissolve them. Cool the solution in the fridge. When you take it out, pour it onto a dish and you'll see it turn into a solid. Heat will be released because crystallization is an exothermic process. If you’re someone who has tried to sweeten lemonade with extra sugar and found that you can’t get it to dissolve, we have the solution to your problem. This recipe makes drinks that are sweeter than normal and perfect for warming up on a cool fall day. Ingredients: Water and lemonade mix (you can also use Tang). Directions: Boil the water on the stove and then add the drink mix to taste. You’ll find that you can add more mix than you would be able to with regular water. What’s the science behind this? 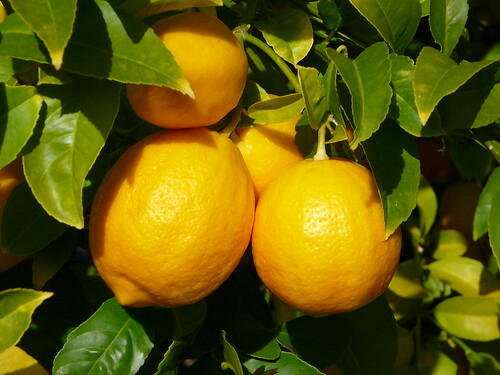 It is an example of supersaturation, which occurs when a change in the condition (in this case temperature) of a substance (water) enables it to hold more of a dissolved material (lemonade mix) than would be possible under normal conditions. An interesting post on Not Exactly Rocket Science caught our attention earlier this week: apparently Ida - our Darwinius ancestor or missing link - is no such thing. This is shocking because it was only a few months ago when the media storm took over and wrote over some of what we thought we knew about human evolution and knocked Lucy from her place in history. This poses an interesting question for those of us interested in science communication: Should new scientific findings be immediately publicized or should there be some sort of process for releasing scientific data - especially revolutionary research - so that the general public doesn't get mixed messages about scientific "facts"? The scientific community potentially has the worst public relations system around; meaning there doesn't seem to be one at all. So much of the exciting research going on in science never gets explained to people outside of a specific field, better yet to the public. When a chance comes along to really publicize something that people can sink their teeth into, building up a media storm is a great idea. First, because it engages the public. That increased interest may help build public support and perhaps funding for future research. Plus, if celebrities and politicians can vacillate on positions in the news, why shouldn't scientists do the same? Science is a fluid field where things change, so it just makes sense. However, as a PR professional, it would be irresponsible to not mention the other side of that argument: not all press is good press. Look at the Large Hadron Collider. Everyone knew about it, everyone was watching, and it didn't work. Most of the public (and the media for that matter) will never check back in and see that the whole project wasn't a waste. The American school system teaches science as a series of facts or rules that everything works in. Now, if you pursue science beyond the basics, you learn that those rules can bent, but the majority of the public thinks of science as something hard, fast, and sure. Which is why when a group of astronomers decides that Pluto is no longer a planet, there's a loss of faith in the whole system. No wonder people question the value of vaccines when they're told, "This'll work" and then it doesn't - or worse. Unless the scientific community can pull their communications together and develop a crisis plan for when things don't pan out, it should be a fact before it gets out there. Or, you can just hope for good press. My gut response to this is to shrug it off with the understanding that this is how science works. Science is a dynamic process. It’s about discovery, and the ability to build on this discovery. In some cases, this means supporting and expanding the initial hypothesis; in others, it means challenging your finding and modifying your hypothesis. It’s this constant irony of science that makes it both exciting and frustrating at any given moment. My next response is to ask why the story was handled so irresponsibly. And it’s not just this. There are a number of examples of findings that are pushed out the door and stated as fact from the get-go. That’s not how the scientific process works! Think back to some of the big names in science---Charles Darwin, Gregor Mendel, Francesco Redi. They were responsible for the theory of evolution, genetic inheritance, and germ theory, respectively. It took the scientific community years to accept their hypotheses as theories. The initial experiments that they performed paved the way for more experiments that eventually led to this. There was no mass media frenzy the day after Mendel did his first pea-experiment saying, “Hey look, we now know inheritance happens---it’s a known fact.” It was through long-term evidence-based discovery that this happened. My point is that in the case of Darwinius, the finding was certainly valid in terms of how the researchers interpreted the data, but it should not have been presented as fact. It was and is the responsibility of the scientists, science journals, and media to make sure that scientific findings are presented at face value. As a scientist, it is exciting to, after years of work, finally experience an “AHA” moment, but we need to stay true to the scientific process, and accept it for what it is---not an overnight phenomenon, but rather an extended process. There are many reasons why major scientific findings should be reported to the public soon after the results are published, but the coverage of such discoveries must be responsible. Reporting landmark discoveries is important because it generates greater enthusiasm and support for scientific research, and members of the public often have a direct stake in research that entitles them to such knowledge. Many member of the public may be directly impacted by such findings at some point. For instance, research on heart disease may lead to new treatment options in the future. The public is furthermore entitled to know about such work because a significant portion of research is funded by taxpayer dollars. Announcing findings too soon however—without reasonable verification of the results and without giving journalists time to do adequate research prior to writing their article—is irresponsible and misleading. Premature or incomplete reports can be confusing: if one study suggests that a certain food is beneficial to health and another suggests that the same thing is harmful, the public will be left unsure about what is “true.” Sensationalizing research can also create a false sense of progress and unrealistic expectations which may lead to disappointment. The best approach is to encourage the best science possible, reasonable verification of results to the extent allowed by funding and time restraints, and journalism that contextualizes discoveries in prior findings, allowing readers to better understand the progress being made without creating a disproportionate sense of progress. Here at New Voices we're always encouraging people to get out there and actively engage in communication and advocacy, and today we've got a couple different ways for you to get engaged, learn something, help us learn something, and maybe earn yourself a scholarship. This workshop features expert fundraisers of national, local, and online campaigns from across the political spectrum. Presentations will revisit the theme of our July workshop: presenting a clear, focused message to the press and the public, but this time, within the context of both offline and online fundraising activities. Fundraising experts from Campaign Advantage, Rep. Rush Holt campaigns, Campaign Solutions, and ActBlue will review strategies, and offer advice for members of the scientific community who are considering candidacy for public office. Virtual attendees can participate in the Q&A session through an online chat room. Access codes to the chat room will be emailed to those who register. "What is the most important thing the U.S. can do to improve global health over the next 15 years?" The CSIS Commission on Smart Global Health Policy focuses on practical solutions that maximize efficiency, produce measurable results, and engage the American public. They are looking for fresh, innovative approaches to global health problems. The author of the winning essay will receive a $1,000 scholarship with a chance to be published in the Commission's final report. Complete details are available here. Take the scientist survey and/or share it with your friends today! Thank you to everyone who has reached out and helped so far, we are more than half way to our total response goal, but still need a couple dozen responses to close out the survey. For it to be truly representative, we need our male and minority readers especially to respond as soon as possible! Each response helps, so take 10 minutes today! You can read all the details about the survey here. Join advocates across the U.S. in asking President Barack Obama to make research to improve health a national priority and support robust funding for the National Institutes of Health. To coincide with National Medical Research Day on Wednesday, October 21, the ResearchMeansHope.org campaign, Research!America and other groups are rallying advocates to contact the White House this week in support of significant annual increases for NIH. Now is a particularly important time for President Obama to hear from research advocates because he is working with his administration to determine the FY 2011 budget priorities. Take action and write to President Obama now! Welcome to the final installment in our entrepreneurship series. Today, I’ll show you how our case study states, North Carolina, Minnesota, and Kansas stack up in terms of entrepreneurial and economic development indicators. • Research funding—remember the importance of research funding as the beginning of the economic development pipeline? • Venture capital funds—VC is the one of the sources of financing available to help entrepreneurs start a new business. • Number of life sciences jobs—"jobs, jobs, jobs, it’s all about the job." We’ve heard that plenty of times before. Remember, these are high-paying jobs. OK, let's take a look . 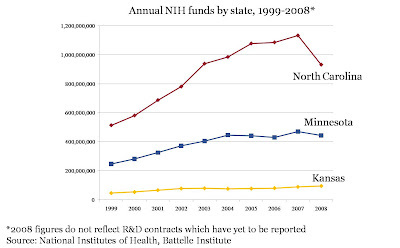 . .
You'll notice North Carolina is significantly ahead of Minnesota and Kansas in terms of attracting NIH dollars. Granted, NC has a larger population than MN and KS , but look at the positive slope of NC compared to the rest!! North Carolina has shown significant growth over the past decade. Even more interesting is the significant drop in North Carolina's research funds between 2007 and 2008. This is because NIH has not released number for 2008's R&D contracts, of which a significant amount go to industry. Add those grants in and North Carolina stays on track for growth. This figure goes to show how sporadic (and unreliable) venture capital is. Up one year, down the next, up, down, up, down . . . . You can't be on it. This is why those sources of public finance that I mentioned earlier as so important. Also look at the spike for Kansas in 2007. This was the first spike Kansas has seen, and it happened after the Kansas Economic Growth Act had be implemented. Finally, jobs, jobs, job. In terms of life science employment as a percentage of total population, these three states are actually pretty comparable. The differences come in terms of actual number. It takes a significant number of business in North Carolina, for example, to account the additional 13,000 life sciences jobs it has over Kansas. First, all states are not the same in terms of the resources and benefits offered for new businesses. It pays to look around and find a states that offers the resources you need. The Battelle/BIO report is a good place to start. Second, this may all seem very overwhelming, but don't forget, there is help! The North Carolina Biotechnology Center, Minnesota BioBusiness Alliance, and Kansas Bioscience Authority are examples of resouces centers in each of the states we discussed. Finally, and perhaps most important, we can't forget that research funding in the beginning of this entire process. Without reasearch funding, the great ideas that could become a business will never flourish. I hope this series have been helpful and enlightening. Thanks for reading! This is Part 8 of 8 in our Entrepreneurship series. October is “Update Your Medical Records Month,” so we want to take this opportunity to remind you to bring your records up to date, if you haven’t already. It also seemed like an appropriate time to write about electronic health records, a current topic of discussion in the health community. Electronic health records are one measure that many—and the Obama administration in particular—support as a means of improving patient health care. Although there are many significant benefits to electronic systems, including better access to information and the ability to tailor care, there are also some major hurdles to the implementation of such a system including the initial cost. In 2008, however, a study published in the New England Journal of Medicine revealed that only 17% of doctors and 10% of hospitals were using computerized health records (the rest were using a paper based system). Computerized health records offer a number of benefits to health practices. They can help improve patient care by assisting doctors in finding relevant information more quickly and prescribing the right treatments. “Fully functional” records can provide reminders of care guidelines, helping doctors to avoid problems such as prescribing medications that a patient is allergic to or administering tests for information that has already been acquired through similar tests (which the doctor may otherwise overlook). In turn, this will cut costs by improving efficiency and eliminating unnecessary procedures. Making depersonalized records available will allow doctors and researchers to look at larger numbers of patients and learn what type of care is most effective for an individual. Doctors have identified one major challenge to implementing electronic systems: cost. For small practices with only one to three doctors—the type of practice where almost half our country’s doctors practice—the average cost of implementation is $40,000-$50,000. Dissatisfaction with current system options is another barrier: according to the 2008 study 54% of those who had not adopted computerized records said that a major reason was that the existing options did not meet their needs. The Obama administration has taken strides to reduce the cost by offering $19 billion in incentives to doctors, hospitals, and regional health information networks. 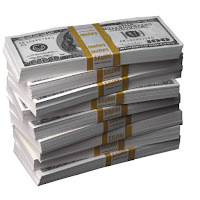 Payments can be up to $44,000 per physician for those that demonstrate “meaningful use” of “certified” electronic health records, which means they must demonstrate quality reporting and be able to share information with clinics, hospitals, and government (although the specifics need to be determined). There is also a disincentive to not adopting: if health providers have not switched over by 2015, they may experience a penalty when seeing Medicare or Medicaid patients. Additionally, providers of electronic records systems are partnering with health providers to make implementation easier. Patient privacy is the other major concern that needs to be addressed. It will rely on the depersonalization of records, and strong cyber security technology, a necessity for implementation. Of the physicians, large practices, and hospitals that have already implemented electronic systems, the reviews are overwhelmingly positive: 82 percent said they improved the quality of clinical decisions, 86 percent said they helped in avoiding medication errors and 85 percent said they improved the delivery of preventative care. With help from the government and private industry, the number of health professionals using computerized records is bound to increase in the next few years. Have you ever used electronic health records? Do you know any doctors who have? How has this affected patient care? Leave a comment and let us know! And don’t forget to update your own medical records! Thank you to the many of you who have already taken the scientist survey. As you know, for all of the data to be useful, we have to have a significant number of responses. So please help Ilse (who has been working diligently on this project for months) by sharing the link to her survey with anyone you know who has some level of scientific training. It only takes a moment to share in your Reader, add the link to your Facebook profile, or to email it to a friend. Please help us get the word out about this survey! We're in the final weeks of the New Voices Scientist Survey and have already received responses from scientists across the country. The question is: are you one of them? By distributing this survey, we're trying to find out more about scientists' views toward communicating science to the public and their perspectives on the policy process. We want to know what you think, and what experience you have with each. The results will provide vital and timely insight and help guide the New Voices for Research Initiative. The more people that complete the survey, the more representative our results will be of the national scientific community. Anyone who has completed at least some master's study (or higher) and intends to complete their degree in any of the scientific or medical fields is eligible to participate. Thanks to everyone who has completed our survey. If you haven't yet, please take 10 minutes now to do so. Your individual responses will not be associated with you personally, and any identifying information will remain confidential. If you have any questions or concerns, please feel free to contact me at ipeterson (at) researchamerica.org. To read the original post and find out more about this survey, click here. Thank you!! Welcome back to Installment 7 in our entrepreneurship series. Today, as promised, a discussion of free money, Democrats and Republicans who actually agree with each other, and flying cows. Where does this all happen?? 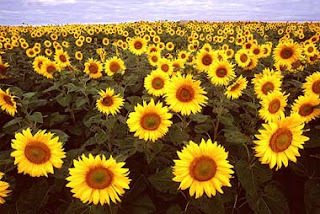 Kansas—The Sunflower States. Or, as some would like you to believe, the bioscience state. Kansas isn’t traditionally thought of as a home to outstanding bioscience. However, the state does have an established publicly-funded research infrastructure with the University of Kansas and Kansas State University. 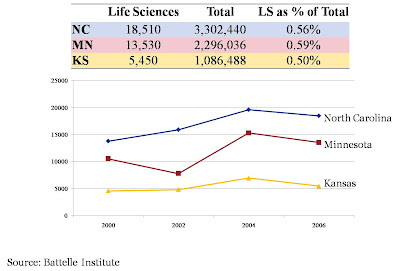 In 2004, Kansas put an end to the naysayers who’d say the state wasn’t interested in the life sciences. The republican-controlled state house and senate passed the Kansas Economic Growth Act of 2004, called KEGA for short by state insiders. KEGA passed with an overwhelming majority of both Republicans and Democrats. KEGA was then signed into law by then-governor Kathleen Sebelius, a Democrat (and now the Secretary of Health and Human Services). Democrats and Republicans who overwhelmingly agree with each other—CHECK! • The Kansas Bioscience Authority (KBA), an independent entity of the state charged with guiding future life sciences development, was created. • Financing resources for start-ups are provided. • Tax incentives for investors and start-ups encourage private investment. • Matching funds to promote research are provided by the state to encourage researchers to apply for federal grants and to recruit researchers from other states. In 2007, Kansas launched a state-led effort to attract the National Bio and Agro Defense Facility (NBAF)—a Department of Homeland Security (DHS) research facility—to Kansas. The NBAF conducts research into biological threats against livestock and the food supply, namely nasty things like Foot and Mouth disease. DHS was looking to relocate the facility from an island off the coast of New York, and Kansas wanted that facility. Why? DHS estimates that the NBAF would create 450 to 510 total jobs! To show their determination to win the research facility, Kansas donated nearly 60 acres of land to DHS to build the NBAF. The state also authorized $150 million of revenue bonds to build infrastructure around the proposed NBAF site. Kansas' efforts paid off. This year, DHS announced that the NBAF would be built in Kansas—a major boost to the state’s life sciences industry. So what about flying cows?? (Ok, I’ll admit I’m taking a little extra creative liberty here.) Recently, the Government Accountability Office (GAO) raised concerns about building a research facility for biological hazards in the middle of tornado alley. The GAO is concerned that the possibility of severe weather spreading biological hazards (like Foot and Mouth disease) was overlooked when studying Kansas as a potential site for the NBAF. The possibility of “flying sick cows” has caused lawmakers to look twice at the NBAF site in Kansas. (See the Kansas delegation's response here.) It’s yet to be seen if the NBAF—and the 500 jobs in brings—will actually be located in Kansas. This is Part 7 of 8 in our Entrepreneurship series. New Voices is off today in celebration of Columbus Day. We'll be out scouring the horizon for signs of new frontiers in advocacy and communication to share with you when we get back. Have a great holiday everyone. Although I personally am not a parent, I'm getting pretty good insight as to what it must be like as I watch my friends start their families. It seems to be like a rollercoaster ride… exciting, surprising, stimulating, and at times, down-right scary. Ask an expectant mother is she wants a boy or girl, and likely, you’ll get back, “I just want a healthy baby.” From conception to birth and though adulthood, parents want the best for their kids. So imagine having a healthy baby girl, watching her grow; her first smile, her first steps, her first words; and finding out that your healthy baby girl has a disorder that’s going to undo all of this. This is what it’s like for a parent of a child with Rett Syndrome. Rett Syndrome is a childhood neurodevelopment disorder, which means that it’s a disorder that affects the normal development of the nervous system in children. This specific disorder affects the development of all motor movements (including walking, breathing, blinking; basically any movement that your body does will be affected by this disease). It’s caused by a genetic mutation, and it mostly affects girls. Up until the 1950s, there was no name for it. Since then, over 4,000 children have been diagnosed. Children with the disorder develop normally early on, but begin to show symptoms between 6 and 18 months of age. It usually starts with subtle changes, like the inability to hold a gaze or a delay in their ability to walk or crawl. However, as Rett Syndrome progresses, the child will have more trouble with programmed motor movements, such as speaking, walking, chewing, and even breathing. Every case is different, and some are more severely affected than others. These kids generally survive into adulthood (approximately 70% live to between 35 and 40). They go to school, go on vacations, and spend time with family and friends. But they need help with daily activities, and they cannot communicate vocally, but can by other means. In reading the letters of families with affected children, you know that these women are loved, and love. They may never have their own family and need physical assistance throughout their lives, but they, and their families, live life. Because we now know the gene causing this disorder, doctors are able to screen for this mutation. The symptoms of this condition can be managed, but there is no cure. 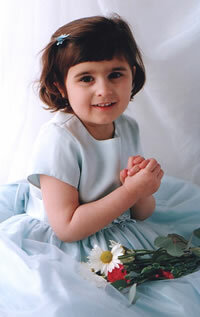 If you’d like more information, are interested in reading more about the families affected by this disorder, or have a child with this disorder and are seeking support, visit the International Rett Syndrome Foundation website. For more information and to learn about studies being conducted, please visit the National Institute of Neurological and Stroke Disorders. You can also view many stories of these children and there families on YouTube. Just one more reason why research for health is so important. Depression is one of those words that’s floated around a lot in general conversation. I’ve even been guilty of using it out of context (i.e. "I’m so depressed, it’s raining out so now I can’t take my dog to the park"). I can’t help but wonder if this is at least part of the reason why clinical depression is not taken seriously in our society. And yes, I did just call it a condition, because it is! I think people forget that this is a very real medical condition that is caused by physiological changes in the body. That is, it’s caused by a change in the release of chemicals in the brain (called neurotransmitters) that regulate the nervous system. This results in changes in brain activity, and that translates to altered behaviors and emotional states. This chemical imbalance is generally caused by a change in either the internal or external environment, or maybe both. This is why there are so many different types of depression. For example, postpartum depression occurs in women who have just recently given birth. This is thought to be due to a combination of hormonal changes occurring in the body, as well as the new (and often overwhelming) responsibilities of being a mom. The three most commonly diagnosed depressions are manic depression, major depression, and dysthmia, but there are others as well. Depression can affect all ages (from childhood to seniors), genders, and races. What’s amazing to me is that even though this is an entirely manageable condition (there are many known medications that can ease the symptoms associated with depression), many people do not get screened. This is a debilitating disorder, and untreated it can and does lead to suicide. If you think that you or a loved one is suffering from depression, there are a host of websites that can get you more information, or talk to your physician and ask to be screened. This disorder is real, it’s dangerous, and it’s treatable. An estimated 6 million men are thought to have depression in the U.S., but many go undiagnosed because they can’t or don’t want to recognize the symptoms. Depression affects more than 6.5 million of the 35 million seniors (65+) in the U.S.
Depression, if left untreated can lead to suicide. An assessment from the American Health College Association found that 9.4% of students (of 23, 863 participants) reported seriously considering attempted suicide at least once in a 12 month period. Who Works in a Congressional Office? Knowing your audience is an important part of successful interactions, and this is just as true on Capitol Hill as anywhere else. When, if ever, you visit a Congressional office, you should have some idea of who you are speaking with and what they do. Today’s post provides an overview of the different people who work in these offices, also known as personal staff. Depending on your reason for visiting, the people you are most likely to meet with in DC are legislative assistants or correspondents. The size of the office will determine how specialized the person you are meeting with is. In larger offices, it is possible that the staffer you meet will be fairly specialized and have a great deal of knowledge about your issue. In smaller offices, you are more likely to meet staffers who are tracking a significant number of issues. No matter who you meet, though, remember the basic rules for making your case, be respectful, and always thank them for their time. Are the Nobel Prizes Overdue for a Makeover? 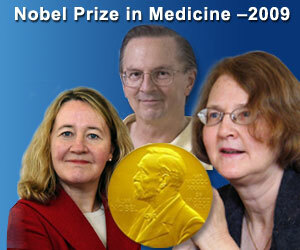 Yesterday marked the announcement of the 2009 winners of the Nobel Prize for Physiology/ Medicine. Recipients this year were Elizabeth H. Blackburn of the University of California, San Francisco, Carol W. Greider of Johns Hopkins University of School of Medicine, and Jack W. Szostak of Harvard Medical School. The award was in recognition of the discovery of telomeres and telomerase; two important pieces of our greater genetic puzzle. Discovering how our genetic materials stays intact as cells divide is important to understanding one of the most basic processes in human biology, cell division. Cells are the structural and functional unit of an organism and they divide to allow for growth and to keep the organism (that means you!) healthy. As cells divide, telomeres protect the chromosomes (which house your genes). Telomeres are built by the enzyme telomerase. So, you can see why these scientists have been recognized by the Nobel Foundation. The Nobel Prize is recognized internationally as arguably the most prestigious award bestowed to recognize achievements in the fields of physics, physiology or medicine, literature, peace, and economics. They were established in 1901, and have undergone very little change since their inception. The most recent update to the awards was the addition of the award for Economics in the 1950s. Now, in a world where you can’t seem to listen to the news without hearing about climate change, renewable energy, and health care, a group of scientists are suggesting that the Nobels need a makeover. The New Scientist reported last week that a group of scientists are calling for the addition of two awards to recognize achievement in environmental research and public health. They also want an expansion of the Nobel Prize of Physiology/Medicine to include all of the Life Sciences. This article got me thinking… They do have a point. Certainly there is ground breaking research occurring in fields that may not exactly match this category, but contribute vital information to the public. For example, would Darwin’s Theory of Evolution have been considered under the current categories? Certainly this is a basic and accepted tenet of science, but I suspect it would not fall in to the criteria for the Nobel for Physiology/Medicine. So, I’m curious to know what others in the public think. Groups countering this argument suggest that while there are limitations to these categories, there might be more harm done than good if it's changes. Basically, it’s worked so far, so why change? They also point out that there are other awards for disciplines not recognized by the Nobel. Proponents argue the latter point by saying that the Nobel is the most prestigious, and should not limit itself to particular disciplines in the life science. And I say, isn’t science all about adapting and changing with progress? So I'm interested in what you think. Should the Nobel Prize be revamped? Last week, I gave you the 50,000 foot overview of the life sciences industry in North Carolina. As you will recall, 35 states have implemented policies to facilitate the growth of their life science industry. Today, its Minnesota’s turn. In contrast to the state-guided efforts in North Carolina that I discussed last week, Minnesota has traditionally relied on its research institutions and medical device industry to guide development in the life sciences. In 2005, the state legislature created the BioBusiness Alliance of Minnesota (BBAM) to guide life sciences development. BBAM is comparable to the North Carolina Biotechnology Center in scope and mission—to guide the development of the life sciences industry within the state. BBAM has established a resource network to help new company establish, and provides business consulting services. BBAM is assessing workforce and educational gaps, but does not have training programs in place to the extent that NCBiotech does. BBAM also lacks many of the financing options that NCBiotech provides. 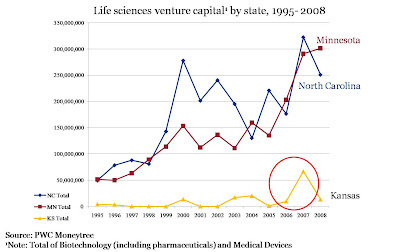 One of the most striking differences between the life sciences industry of Minnesota and North Carolina is the amount of state support given to each state’s life science centers. BBAM receives less than 5% of the amount of funding that NCBiotech received from the state of North Carolina. NCBiotech is staffed by 61 experts; BBAM has 8 employees. The differences in manpower and resources have an effect on the scope, research and effectiveness of each center. Imagine trying to do the work of 61 expects with only 8 employees! 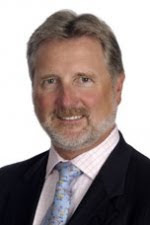 There was some exciting news for Minnesota last year when biotechnology titan G. Steven Burrill announced a goal of attracting $1 billion of private venture capital to the state for new life science companies. As you will recall, VC is one those all-important sources of financing that new business need. My 50,000 foot recommendation for Minnesota—it’s time to make a serious investment in the life sciences by providing access to financing for entrepreneurs. Minnesota has great research infrastructure in place, but the financing options and incentives just aren’t there for new businesses. And to the researchers at those great research institutions—quit playing Minnesota nice in your labs! Let’s see some cut-throat research with the goal of commercialization! This is Part 6 of 8 in our Entrepreneurship series. In the past couple of weeks, we here at New Voices have been pretty busy getting out and around to various events in DC. Below, check out some of the great events we've been participating in and a list of upcoming events you might find interesting. Dr. Shelley Carson from Harvard University discussed the issue "Does Aging Bring Wisdom?" Scientists, members of Congress, and cultural figures came together to discuss diseases including Alzheimer's and cancer and the need for continued support of research. Watch a video of Dr. Francis Collins, Dr. Rudy Tenzi, and Joe Perry of Aerosmith performing together here. In cooperation with the office of Rep. John Conyer, host of the panel discussion, Research!America was given the opportunity to promote its constituent education initiative Your Congress-Your Health. Additionally, Research!America president, Mary Woolley, was one of five panelists participating in the forum. Dr. Stephen T. Warren from Emory University School of Medicine presented his talk "Fragile X Syndrome: Can Drugs be Used to Reverse Autism." We heard from scientists and patients who are seeking greater insights into cancer about how collaboration, investment and personalized medicine lead to better health. The Garfield Award, being presented this year to Darius Lakdawalla, PhD, recognizes research that demonstrates how health and medical research impact the economy. Today Research!America hosted “The Quest for Cures: Horizons in Cancer Research” on Capitol Hill. Presenters included Mary Woolley, President and CEO of Research!America; Stacie Propst, PhD, VP of science policy and outreach at Research!America; Dr. Mace Rothenberg, MD, Senior VP of clinical development and medical affairs and Pfizer Oncology; and Kate Thaxton, pancreatic cancer survivor. Representatives Michael Burgess, MD (TX-26th) and Edward Markey (MA-7th) also addressed the attendees. This event had a two-fold mission: 1. To educate the attendees about cancer and the current research in the field; and 2. To show the need for more funding for research in this field to find cures for the great variety of cancers that affect our population. The event began with Representatives Burgess and Markey addressing the attendees and lending their support for cancer research, emphasizing the importance of both prevention and treatment. Mary Woolley and Stacie Propst gave an overview of the importance of research into finding cures for this disease. Dr. Propst emphasized the extensive effects of cancer are with both a Powerpoint slide attesting to that fact, but, perhaps more powerfully, asking for a show of hands around the room of people who had been affected personally by cancer. The message was clear; this is a disease that is extremely prevalent in our population. Dr. Propst then highlighted the important role that research has played in increasing cancer survival rates over the last 30 years (from 55% to 66%), but emphasized that there is still a long way to go. Increasing funding for research is the only way that we can achieve this goal. Dr. Mace Rothenberg then added his perspective as a researcher. He began by highlighting the fact that cancer has a largely genetic component, and that personalized medicine will play an important role in discovering the treatments for these very diverse cancers. He emphasized the importance of the partnership between academic institutions and private companies, saying that it’s often the research done at the academic level that allows industry to pursue specific treatments. He then highlighted the importance of the clinical trials that allow these advances to be both proven and then made available to the general public, highlighting the story of a woman diagnosed with lung cancer, and given a chance at a cure through a clinical trial. It was her enrollment in this trial that saved her life. Kate Thaxton, a three-year survivor of pancreatic cancer and the final panelist, shared the powerful story of her battle with cancer. When she was 34, active and seemingly healthy, she began experiencing pain in her abdomen. Though she was initially treated for indigestion, further tests revealed that her body was “riddled” with tumors; she had late stage pancreatic cancer. Such a diagnosis is, sadly, not uncommon for a pancreatic cancer patient: only a few risk factors for pancreatic cancer are known, there are no early detection methods, most symptoms could be attributed to a variety of conditions, and 52% of patients are diagnosed when they have advanced disease that has already spread. * What is both uncommon and incredible is that Kate has survived. The longer-term survival rate for pancreatic cancer is the lowest of all the major cancers: only 24% survive one year and only 5% of patients survive more than five years. Kate does not know exactly why she has been able to stay alive and moreover continue her active life, but credits it to a variety of different off-label cancer protocols and luck. Through her participation, Kate helped give a human face to the day, and her story clearly emphasized the need for further research. --Dr. Propst said that she would emphasize the need to support further research. --Dr. Rothenberg said that he would tell the president to come back next year to find out what has been accomplished (with regard to cancer research and treatment) and what challenges remain. --Kate echoed Dr. Propst’s request and said that she would emphasize the importance of research.